We conclude our Islay Festival coverage with a round-up of independently-bottled Fèis Ìle whiskies, taken from two ranges supplied by the Scotch Malt Whisky Society (SMWS) and by Hunter Laing with its Kinship range – as the company waits to open its Ardnahoe distillery on Islay. 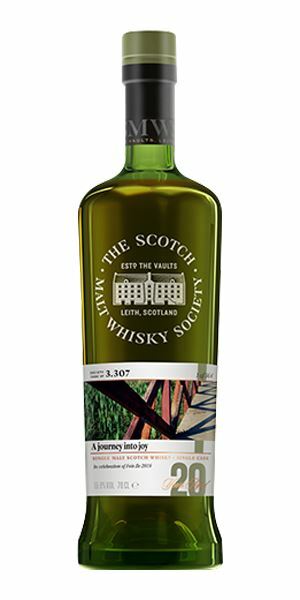 The selection features two single malts each from three distilleries: Bowmore, Bunnahabhain and Laphroaig. 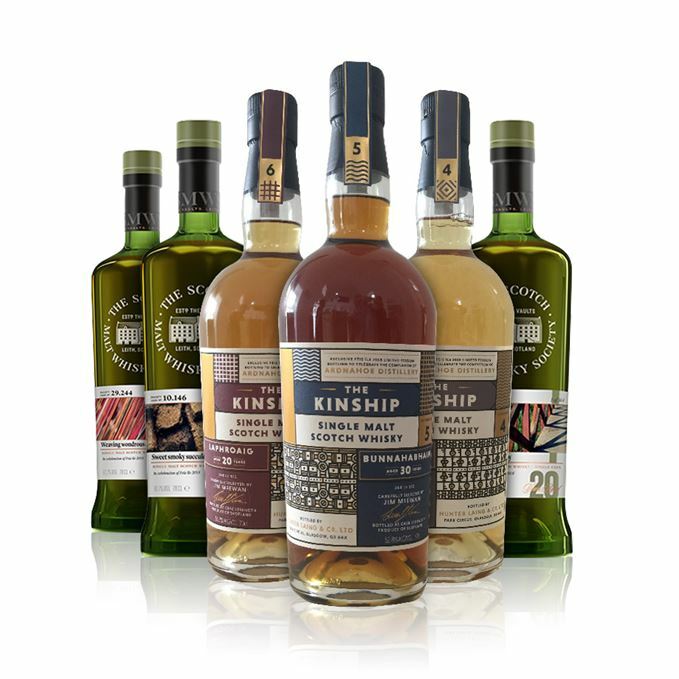 Each shows a variation on some of its classic flavours, from Bowmore’s lush fruit through Bunnahabhain’s spiced, exotic fruit to Laphroaig’s coastal character. For a Spotify soundtrack to accompany the whiskies, click on the links in ‘Right Place, Right Time’. Oh yum. Big sherbety wood spices confront your senses, piling on a cascade of dark dried fruits – prunes, caramelised figs and decadent marzipan-iced fruitcake. There’s a drier, more mature quality in the guise of new leather satchels (with metal buckles) and furniture polish. Let it breathe. It relaxes into a deep, rich, mouthwatering oloroso Sherry. Just lovely. The palate lives up to the nose. It’s big, a thick mouth-coating texture, but it doesn’t need water. The sweet Sherry moves in first, with raisins, cherries, hazelnuts, dark sugar and reduced blood orange juice, then more furniture polish and buffed dark oak tables. A nuttiness combines with a charred smoke to create a bitter edge. Wood spices dance across the tongue. It transcends into a bitter, drier phase the longer it stays in the mouth. Water dulls the experience; I would keep this one neat. Fruity; some smoke moves in. Big, bold Bowmore. 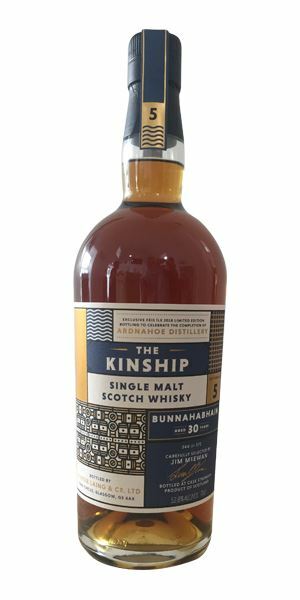 Very cask-driven, but a Sherry- and peat-lover’s dream. Shut away in the hidden, Underground leather repair shop. Meaty and big, but it noses like a spirit with a higher abv. There are hints of lush fruits in there – lemon zest, Cif, Calvados – but they’re hiding behind alcohol sting and strong smoke. Water tones down the burn, but does little to open it up. Far softer than the nose suggests, but here the fruit has grown some balls – dried apricots, meaty grilled papaya, cooked red apples. Much better. There’s muscovado sugar, baking spices and the smoke is softer too. A drop of water enhances those fruits and introduces a meaty, oily quality. The fruits recede, letting the smoke take control. Often it’s the palate that lets down a fantastic nose. Here it’s the other way around. Running around upside-down. ‘How you turned my world, you precious thing.’ Within You. Slightly medicinal at first, which gives way to digestive biscuits and maple syrup smeared over barbecued meats. It’s quite closed at cask strength, but water releases a more coastal element, smoked salty fish and honey sandwiches on the beach. Sweet, salty, fatty meats barbecued over wood chips – think gammon steak. It’s drinkable at such a high strength, though there’s a fair bit of spice from the alcohol. With water it becomes much sweeter, releasing cooked apple, pastry cases dusted with cinnamon and those maple syrup and honey notes. Dry, salty and long. Still quite fatty as well. Sweet, smoky, salty, meaty – if you’re a beach barbecue fan, you’ll love this. Hanging out with The Beaches, eating maple syrup pancakes. Dry and fruity, but with a distinct nuttiness and leathery quality, like dried fruit rolls. There’s a touch of rancio– only very slight – like a dunnage warehouse floor, then a burst of dried exotic fruit, the kind you find in a luxury box of muesli – mango, papaya, grilled pineapple, and orange and grapefruit marmalade. The longer it stays in the glass, the bigger the fruit gets. Wait for it… now comes the Cadbury’s chocolate mini roll. So many layers. Like a luxury Christmas dessert buffet – Terry’s Chocolate Orange, bowls of nuts and big dried fruit. It gets a touch oaky and gently spicy – cloves, cinnamon, soft brown sugar – before the big, rich and bold exotic fruit sweeps in again. A dryness, likely derived from the cask, stops it becoming too sweet. One to sit on and take your time over. The layers develop in the glass, and each one is worth spending a few moments on. Just wonderful. Contemplate it slowly over a luxury Breakfast, ideally somewhere iconic. Coastal and big, with powerful scented foliage notes, it’s all pine needles, spruce and mezcal. A bitter, tarry quality sits alongside salty beach pebbles and gauze, while lemon oil gives a lift. As it sits in the glass, a sweeter side is allowed to develop – all lemon-spiked vanilla cream. Very typically Laphroaig, and surprisingly not as spicy as the abv would have you believe. Iodine, tar and soot, the dying embers of a peat kiln. There’s a distinct sweetness too, in saccharine, lemon zest and green apple skin. Youthful? Yes. Powerful? Yes, but it’s still a wicked, punchy beast of a dram. Add a hefty slug of water and enjoy somewhere coastal, listening to Rocks. Very oily. There’s a metallic nature, with aluminium, bike oil and brake fluid – signature Laphroaig cues, along with a coastal saltiness. Slowly, gradually, sweeter qualities seep through – iced cinnamon buns, raisins, crunchy cereal and Honey Nut Loops. Although it has a light golden colour, the nose exhibits a deep richness. It’s a bitter start, with hazelnuts, walnut skin and thick tar, which coat the mouth with a viscous and oily texture. 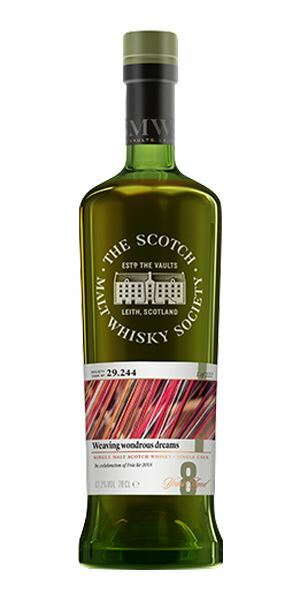 That Laphroaig coastal quality appears as Chinese crispy seaweed, before taking a sharp turn into heavily loaded fruit cake, illuminating a beautiful marriage between warming spices and gentle peat smoke. Smoked oak chips, left-over stale Christmas cake. Liquorice. You’ll be tasting this for days. Gently matured in great-quality casks. Hunter Laing showing off Laphroaig’s ability to age at its best. Taking a breather while fixing a bicycle chain on the three distilleries path: Breathe. Batch 151 08/06/2018 A duo from Ben Nevis and a Highland Park quartet find a musical match in dirty blues and deep soul. 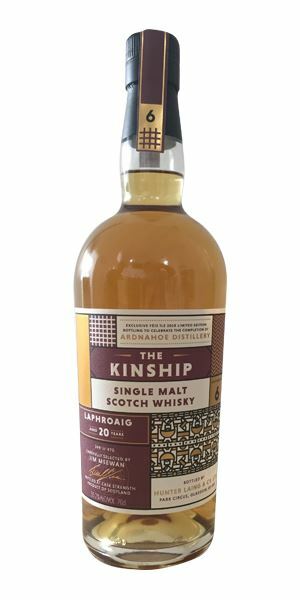 Fèis Ìle 2018 Batch 2 04/06/2018 The second batch of festival bottlings: Kilchoman, Lagavulin, Laphroaig and Port Charlotte.